Jodi, owner of dc&t, was born and raised in Hawaii and has been blessed to travel the world as a hula dancer. Jodi is a mom of two wild and lovable boys and she recently gave birth to a beautiful blue eyed brunette on December 5, 2010! Jodi loves creativity and has always loved hand stamped jewelry. She loves variety, that is why you will find an eclectic mix of unique, whimsical and inspirational pieces in her shop. Jodi also loves using Bible verses and inspirational quotes to grace her work. Inspiration is her key to creativity. Jodi is inspired by her children, the Bible, life lessons and ambitious friends; she loves being unique, and her pieces will reflect just that. Jodi believes creating custom and personalized pieces is what it's all about. If you have something in mind, let her help you create that one of a kind gem. Because each and every piece is hand stamped, each and every piece will be different. You will not get a copy of anything else. 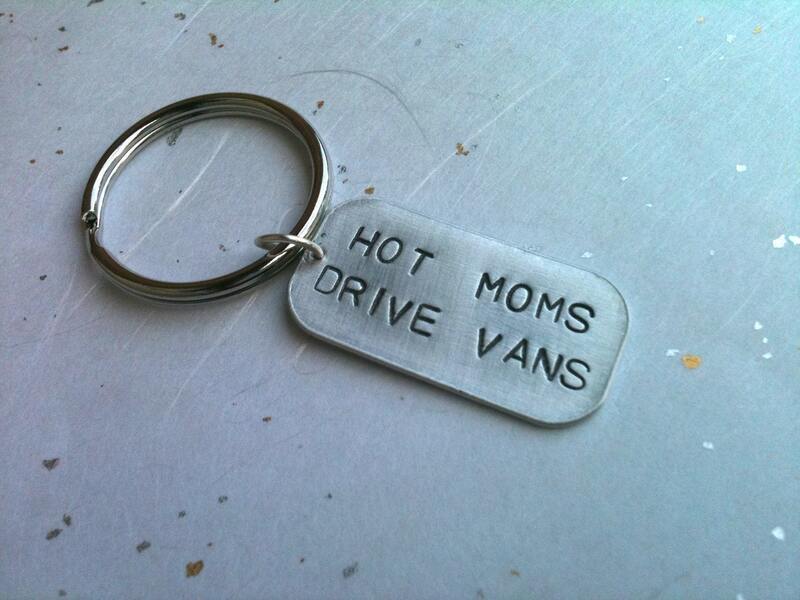 Jodi has offered Six in the Nest readers a chance to win one of her fun "Hot Moms Drive Vans" key chains! 1 entry- Check out the Dark Chocolate & Tulips on Etsy and tell me your favorite item. 1 entry- Like dc&t on Facebook and post Six in the Nest sent you! 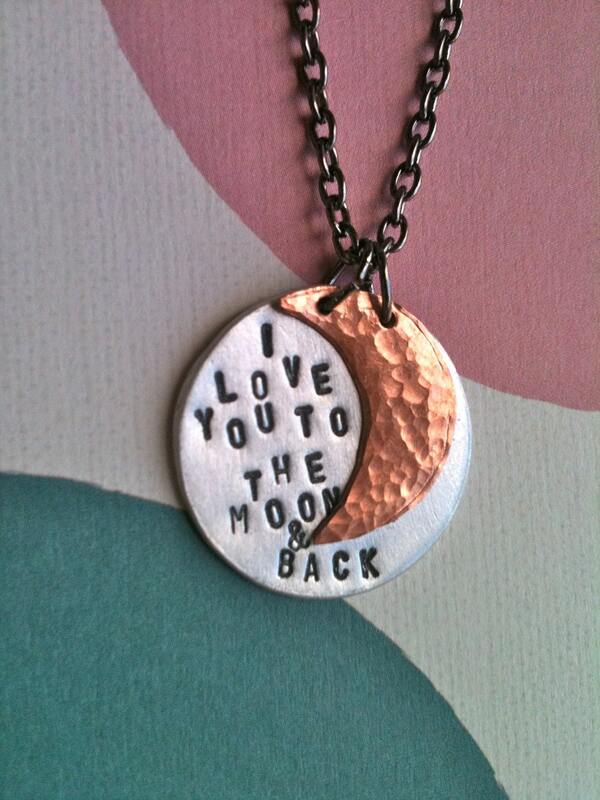 I love the i love you to the stars and back again...necklace!! I like dc&t on Facebook and posted Six in the Nest sent me. I entered in The Vintage Pearl Giveaway. I like the swirl around bracelet. My favorite is the "I carry you in my heart" necklace. Although there were many more I loved, this was my fav! 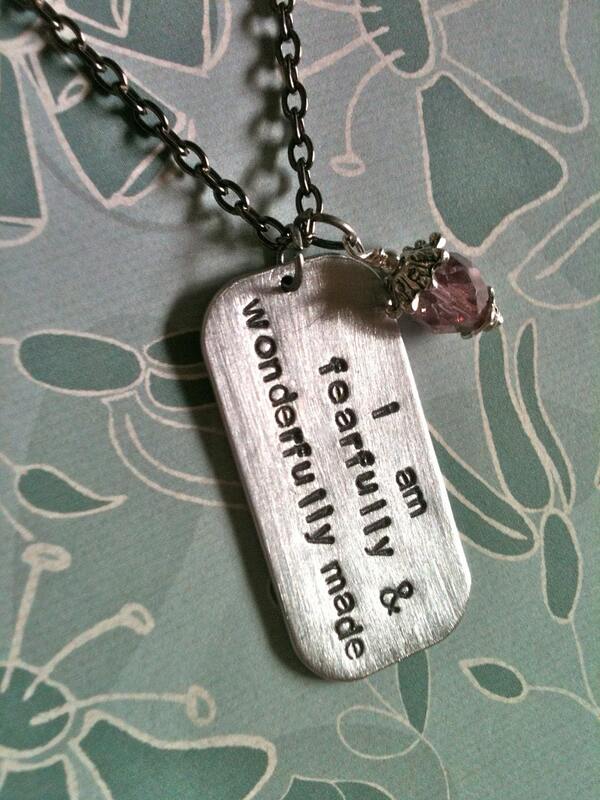 My favorite item is the I carry you in my heart 2...Hand Stamped Personalized Necklace. I like dc&t on Facebook and posted that you sent me. I follow Six in the Nest on Twitter. I entered the The Vintage Pearl- Review and Giveaway! My favorite is "patterned oval of love...Personalized Hand Stamped Necklace" It's just intricate and beautiful enough for me to want to wear and enjoy AND I can put both my boys' names on it! I like the "You're nothing short of my everything" necklace. Finally Twitter is working again for me!! And I really like the blessed beyond measure pendant. I Like dc&t on Facebook and post Six in the Nest sent me! I like the mixed metal love bracelet.